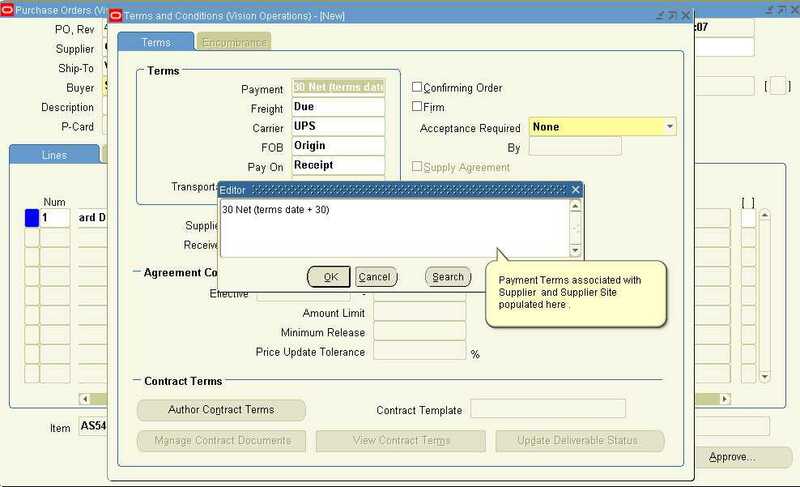 In this blog I will explain "How to define Payment Terms for Supplier in Oracle Purchasing" . 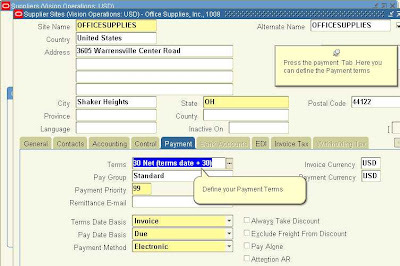 Click on the Payment Tab and define your Payment terms for Supplier /Supplier Site combination. 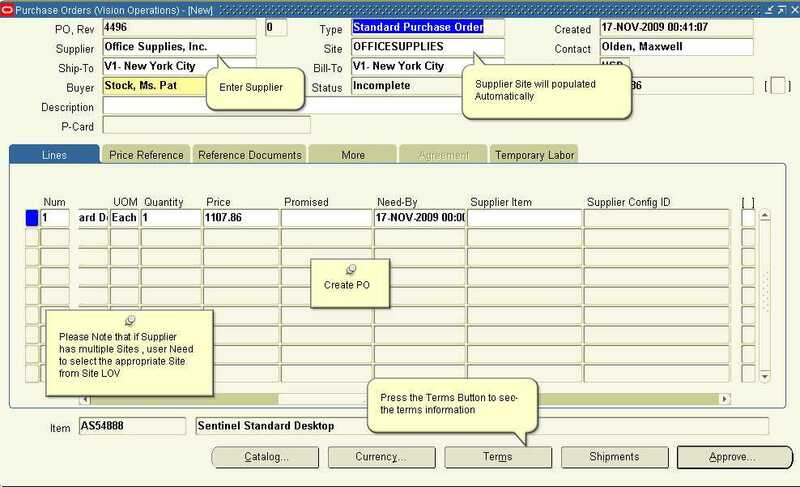 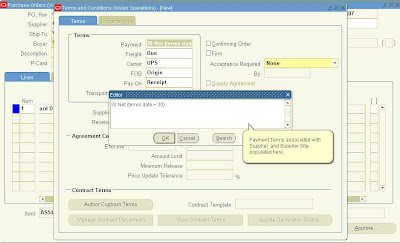 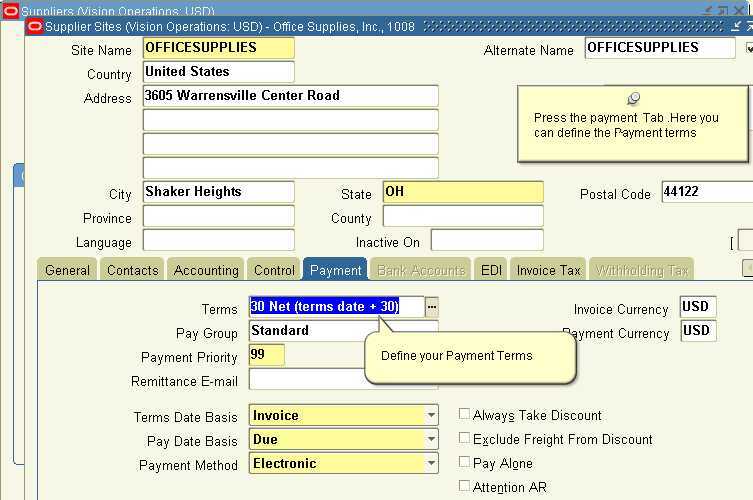 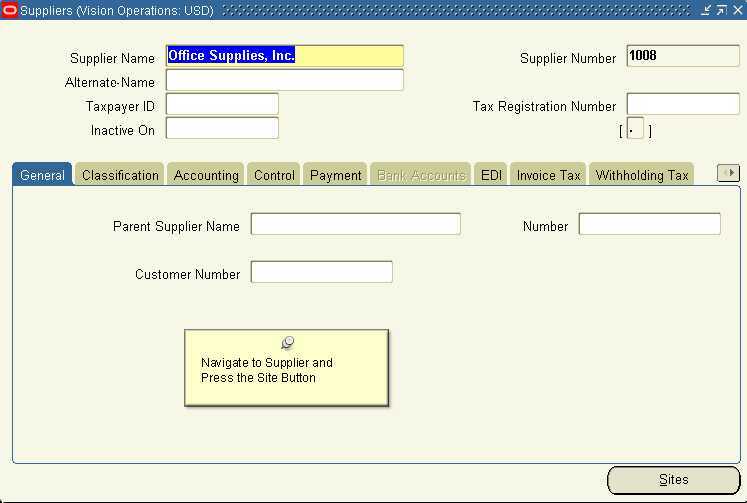 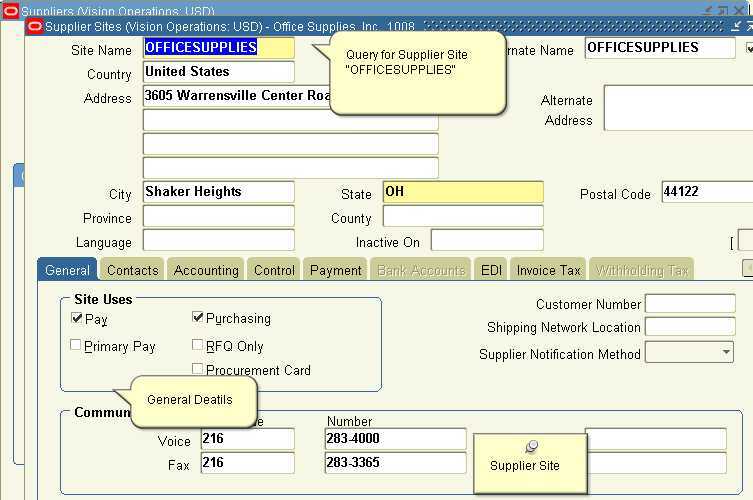 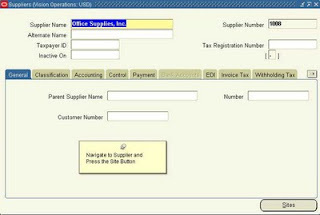 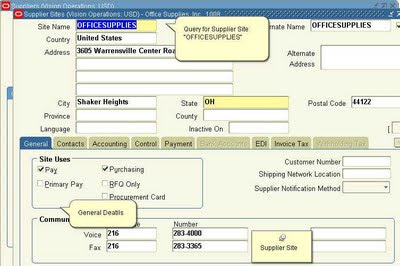 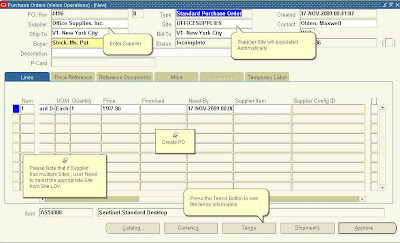 Press the Terms Button on Purchase Order ad it will reflect the payment Trems that you have defined in Step#3.